Cables are used to connect your pumps to your computer. 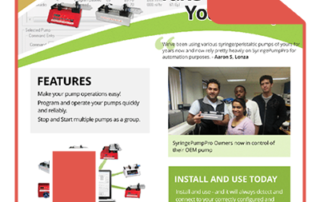 There are several types of cable so you need to know what pump configuration you want to create. There are cables for computer control, ttl input and output, reciprocating pumps. You can purchase cables from your pump distributor or if you prefer, you can make your own cables too.